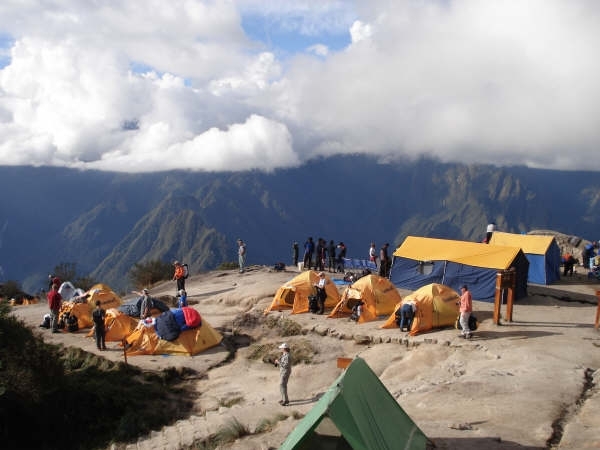 INCA TRAIL Day 2- Pacaymayu: Today we climb up from Wayllabamba for about 3 hours through steepening woods and increasingly spectacular terrain brings you to the treeline and a meadow known as Llulluchapampa (3,680m). It is another 1? hours climb to the first and highest pass of the trail (Abra de Huarmihuanusca or ‘Dead Woman’s Pass) at 4,200m. During this part of the trail hikers are exposed to the Andean elements: first scorching sun and then, closer to the pass, freezing winds. Once at the top hikers can celebrate having completed the most difficult section of the trail. INCA TRAIL Day 3- Winaywayna: Today you will continue to climbing a series of Inca steps, it takes about an hour to climb up to the ruins of Runkuracay (12,172ft). These small circular ruins occupy a commanding position overlooking the Pacamayo valley below. Another 45 minute hike will bring you to the top of the second pass: Abra de Runkuracay (4,000m). At last you’ll feel that you are walking along the trail of the Incas with paving, for the most part, being original. The descent down the steps from the pass is steep so take care. This section of the trail, up till the 3rd pass, is particularly beautiful as the path crosses high stone embankments and skirts deep precipices. After about 1 hour from the 2nd pass you’ll arrive at Sayacmarca by way of a superbly designed stone staircase. The name Sayacmarca means ‘Inaccessible Town’ and describes the position of the ruins perfectly, protected on three sides by sheer cliffs. No one knows the exact purpose of these ruins. You have to backtrack a little to rejoin the trail as it passes Conchamarca, a small Inca dwelling situated in the shadows of Sayacmarca, which was probably a tambo for weary travelers on their way to Machu Picchu. From then on the path descends into magnificent cloud forest full of orchids, hanging mosses, tree ferns and flowers, passing through an impressive Inca tunnel, carved into the rock, on the way. The trail then climbs up to the 3rd pass (3,700m). The view from the pass offers excellent views of several snow-capped peaks including Salkantay (6,271m) and Veronica (5,750m). A few minutes after the pass is Phuyupatamarca, the most impressive Inca ruin so far. The name means ‘Town in the Clouds’. Access to the ruins is down a steep flight of stairs passing six ‘Inca Baths’ probably used for the ritual worship of water. Leaving the site via an impressive Inca staircase leading from the west side of the ruins (the far end from the baths) you descend a thousand or so steps. Be careful with your knees which will feel the strain by the end of the day. After about an hour of walking through cloud forest you may just be able to see the tin roof of the Trekkers Hostal at Winay Wayna, although it probably won’t be for another 2 hours until you arrive. A short trail leaves from the southern end of the hostal to the ruins of Winay Wayna. The name in Quechua means ‘forever young’ and is named after a variety of pink orchid which grows here. The ruins comprise magnificent agricultural terraces set in an impressive location. There are also many buildings of good quality stonework and a sequence of 10 baths, suggesting that the site was probably a religious center associated with the worship of water. Ritual cleansing may have taken place here for pilgrims on the final leg of the trail to Machu Picchu. (Breakfast, Lunch and Dinner). Important: at the time we confirm your participation on this trek, we register your complete name and your passport number (as these appear on your trip application) with park authorities on the official trek permit. The trek permit is a legal document with specific restrictions limiting changes. You must bring this same passport with you on the trek. 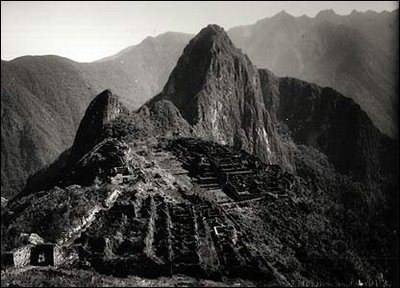 If for whatever reason you cannot bring the passport that is registered on the permit at the time of your original booking, or if you change your passport and cannot bring the original document, or if the information you originally supplied differs from what actually appears on your passport, park authorities may refuse access to the Inca Trail.